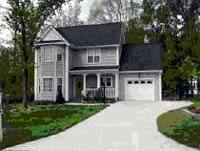 Looking for Homes for Sale in North Chatham NC, You could spend days looking at every neighborhood in N. Chatham County. Provided below is a very good representation of neighborhoods in N. Chatham with detailed information. Just click on the links below. Also provided is a list of neighborhoods by price range. 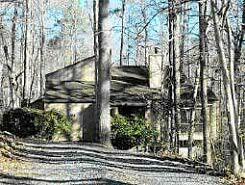 Big Woods is located 10 to 15 minutes to Chapel Hill. There are a range of sizes and types of homes on nice lots. This neighborhood backs to Jordan Lake preserve. 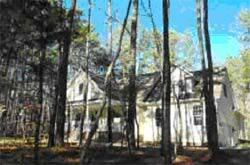 To view all homes currently available in Big Woods, click here. Briar Chapel is a mixed-use compact community located in the northeastern U.S. 15-501 corridor in Chatham County. The walkable mixed-use nature of Briar Chapel will create a cohesive community that will enhance the quality of life for its residents and neighbors. Briar Chapel’s design incorporates significant areas of dedicated open space that will be connected by an extensive network of public sidewalks on every street and 20 miles of trails. To view all homes currently available in Briar Chapel, click here. Chapel Ridge is an exceptional master-planned golf community developed on over 1,000-acres of rolling countryside, with access to the conveniences of Chapel Hill, Raleigh and Durham, North Carolina. In addition to the Fred Couple’s Signature golf course, Chapel Ridge also features a clubhouse, swim and tennis center, and all of the natural beauty of North Carolina land. To view all homes currently available in Chapel Ridge, click here. To view all homes currently available in Chatham Forest, click here. To view all townhomes currently available in Cole Place, click here. 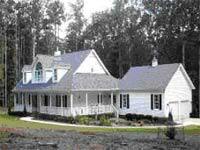 Colvard Farms is a new custom home neighborhood located on the Durham – Chatham county line. There is a four builder team: Alex Mitchell Construction, Loyd Builders, Helton Homes and M.J. Evans Homes. There are over 300 acres of natural beauty. There are nature trails for walking, running and biking; a recreation center with swimming, tennis and a playground; picnic areas, bird watching, and fishing. Colvard Farms is also adjacent to Jordan Lake recreation area. Colvard Farms is located just south of I-40 on NC Highway 751. From the neighborhood it is 4.5 miles to Chapel Hill, 12 miles to Duke Medical Center, 6 miles to Research Triangle Park and 2 miles to the new Streets of Southpoint Mall. 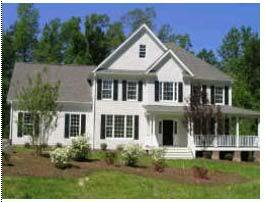 To view all homes currently available in Colvard Farms, click here. Fearrington is located is located 8 miles south of Chapel Hill. Fearrington was built on an 18th century dairy farm. The neighborhood surrounds a village center with unique shops, restaurants, beautiful gardens and a world class country inn. 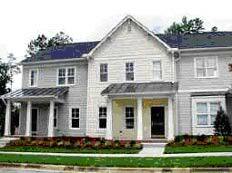 Fearrington has new and resale townhomes and single family homes. The new homes are being built with standard features such as 9’ ceilings, Anderson windows, hardwood floors, Corian kitchen countertops and raised panel cabinetry. To view all homes currently available in Fearrington, click here. To view all homes currently available in Fearrington Village, click here. The Governors Club is the areas only gated community with 1,250 beautiful homes and lots, 27 holes of Nicklaus golf, and a swim and tennis center. There is a 24-hour secured gatehouse. The homes range in size, style and price and there are townhomes (called Villas) as well. This is a lovely, majestic neighborhood with some of the best views in the entire area. To view all homes currently available in Governors Club, click here. Governors Forest are new homes being built off Fearrington Road. This neighborhood has great access to Chapel Hill and Research Triangle Park. To view all homes currently available in Governors Forest, click here. Across from Governors Club in Chapel Hill, Governors offers exceptional homes on a quaint streetscape in a prestigious and convenient location. 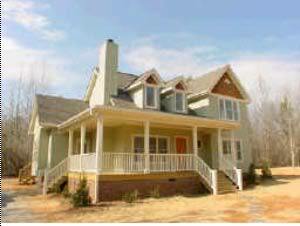 Beautiful designs with Southern Front Porches and Lake front locations. To view all homes currently available in Governors Lake, click here. Governors Park is 4.5 miles south of Chapel Hill. It is an established village-style community with newly designed neo-traditional homes. The houses have two and three car-garages and very nice front porches. The neighborhood has a swimming pool, tennis, basketball and sand courts, a nice-acre park and playground, a lake and wide sidewalks. To view all homes currently available in Governors Park, click here. To view all homes currently available in Governors Village, click here. These homes have been built by a Crabtree, a local custom builder and are located on nice acre lots. To view all homes currently available in Hamlet Grove, click here. To view all homes currently available in Hawfields, click here. Heartland Grove features gorgeous 1-2 acre, generously wooded home sites just 6 miles to UNC and downtown Chapel Hill, 25 minutes to Research Triangle Park and 2 minutes to all your shopping needs. The neighborhood common area features covered seating and a stone BBQ for community enjoyment. To view all homes currently available in Heartland Grove, click here. 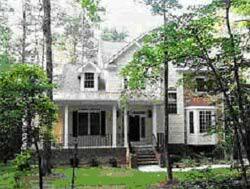 Highland Forest is located 10 minutes from Chapel Hill and approximately 30 minutes to Research Triangle Park. This is a nice, wooded neighborhood with homes on acre lots. This is a great neighborhood for walking. To view all homes currently available in Highland Forest, click here. To view all homes currently available in Jones Ferry Landing, click here. Perched high upon the gently rolling countryside of Chapel Hill, North Carolina, tradition, elegance, and grace blend with refined sophistication to create the area’s only Spa Resort Community. Comfortably nestled next to the beautiful 14,000 acre Jordan Lake, The Legacy provides a conservation-based master planned community designed to inspire the mind, body, and soul. Residents of this gated, resort-style community will enjoy many amenities including a spa and fitness center with an indoor heated pool, a manor clubhouse, restaurant, resort pools, tennis courts, short iron golf, and miles of hiking trails. As a resident you will find endless relaxation and recreation right outside your door. To view all homes currently available in The Legacy at Jordan Lake, click here. Strategically situated, Legend Oaks’ location is additionally complimented by close proximity to Chapel Hill. And with only 62 homesites, Legend Oaks promises to be an exclusive and quaint community. Once inside the estate homes at Legend Oaks, discover the innovation, impressive craftsmanship and uncompromising quality that is built into every Orleans home. These plans feature up to six bedrooms situated on acre-plus homesites with all the designer touches you expect. To view all homes currently available in Legend Oaks, click here. 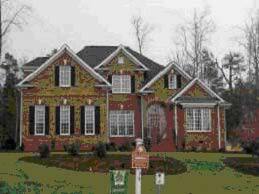 Monterrane is located in the rolling hills of Chatham County just above Jordan Lake with nice wooded lots. There are hiking trails throughout the community and several parks. There are lots available for building. You can bring your own builder or select one that is experienced in Monterrane. There is underground electric, telephone and cable service. To view all homes currently available in Monterrane, click here. To view all homes currently available in Norwood Crossing, click here. To view all homes currently available in Polks Landing, click here. Convenience. Affordability. Style. In short, everything. Well, we’ve got a place for you. Where you’re a 20-minute drive from Cary and Apex, and fifteen minutes from Chapel Hill. Where the needs of everyday life won’t take you away from the way you want to live it. Where main roads are around the corner, but your own street feels off the beaten path. To view all homes currently available in Powell Place, click here. Strowd Mountain is located 10 minutes to Chapel Hill and UNC-CH and seven minutes to area shopping. There are a number of heavily wooded 2-8 acre lots for new homes that will be built with sunrooms, screened porches and gazebos to enjoy the beautiful views. There are more than 6 acres of neighborhood common area. To view all homes currently available in Strowd Mountain, click here. 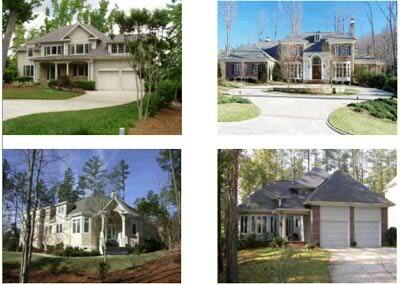 The Preserve at Jordan Lake is a custom built, executive homes golf community adjacent to 14,000 acre, Jordan Lake. The course was designed by Davis Love to blend with the surrounding environment and terrain. There is an owner’s clubhouse with a social room and junior-olympic sized pool, and a fully equipped fitness center. There also are tennis courts and multi-use sports field, walking trails, and a playground. To view all homes currently available in The Preserve at Jordan Lake, click here. To view all homes currently available in The Settlement, click here. 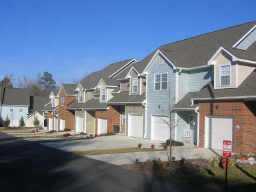 These townhouses are located 10 minutes to Chapel Hill. This is a great location with very convenient shopping nearby. To view all homes currently available in the Townes of Governor’s Village, click here.